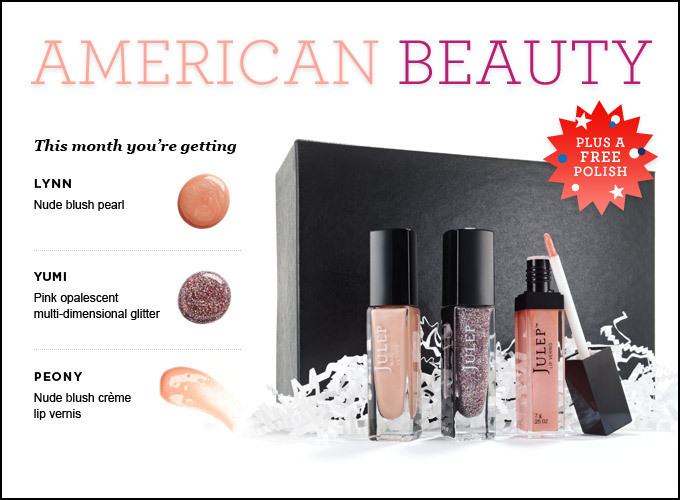 GET JULEP NAIL POLISHES FOR FREE ! Yay!! Today’s post is not exactly a giveaway, but I would say it’s almost a giveaway! 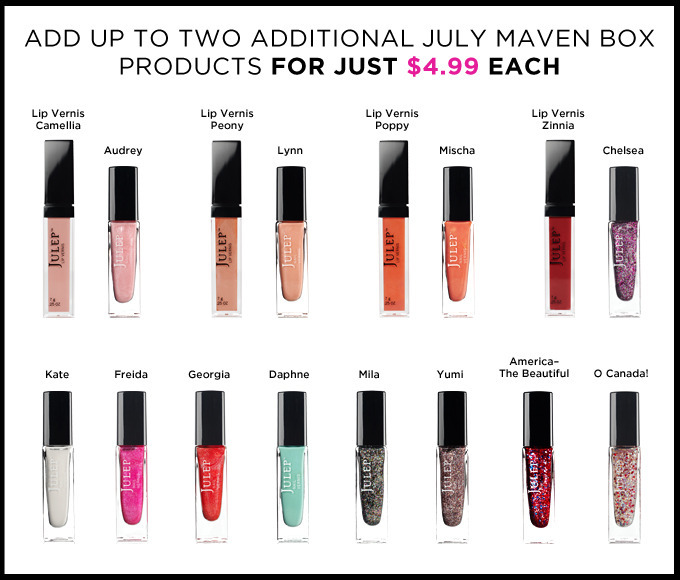 If you want to get some (almost) free nail polishes, GET THEM NOW! 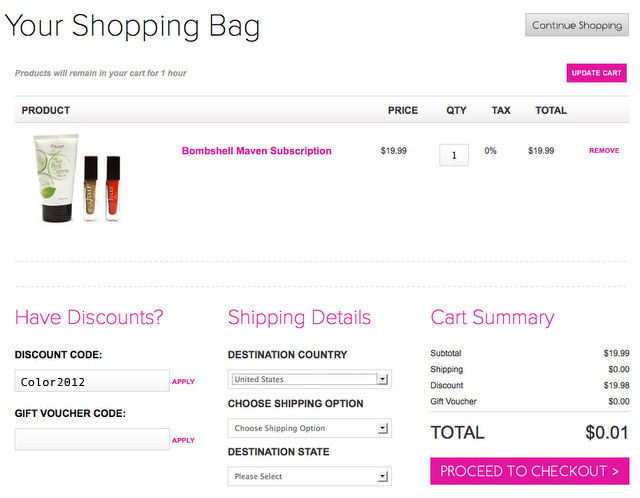 ( see code at bottom) But if you want to stay around, you can get other great deals too! that’s super good deal for this brand and quality! Plus! You can still add on more items to your box for the same great price! 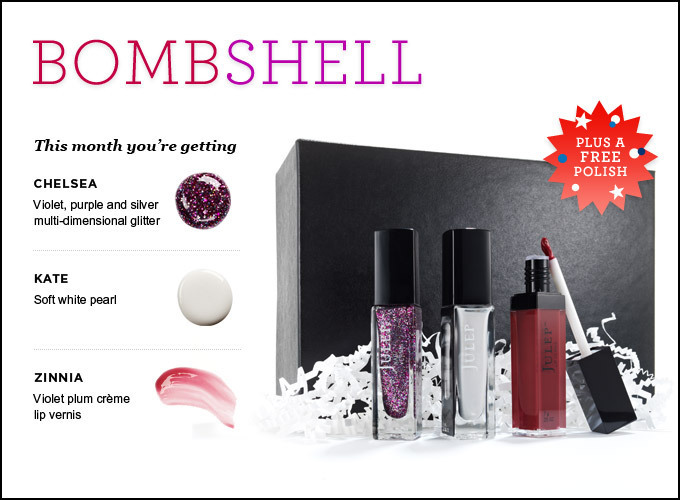 Julep Nail Color is “4-free” and does not contain formaldehyde, formaldehyde resin, toluene, or DBP. Our professional chip-resistant formulation is delivered via our exclusive flat brush with micro-frayed brush hairs. Julep nail color is a fun way to make the season’s latest shades accessible to everyone. And because we’ve tested our trend-setting toxin-free colors and products in over 100,000 manicures and pedicures in our parlors, we have a good idea of what works and what our clients love. Julep donate a portion of the proceeds to organizations that support women through our Powered by Girlfriends program. get the first box for a penny! I cannot find out when the deal will be over, so hurry before they close the deal! 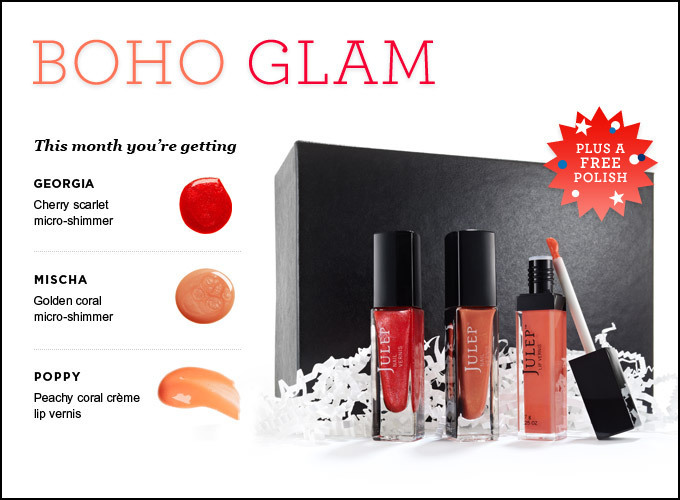 Click here to Get Your Julep Maven Box Now!